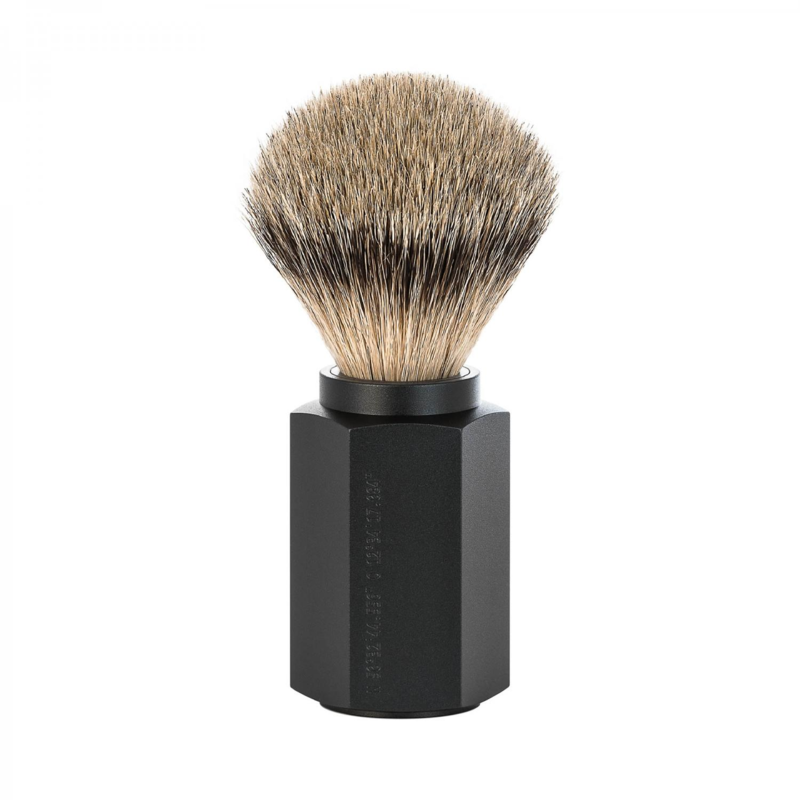 This sturdy industrial brush is one of the latest innovative designs by Muhle. 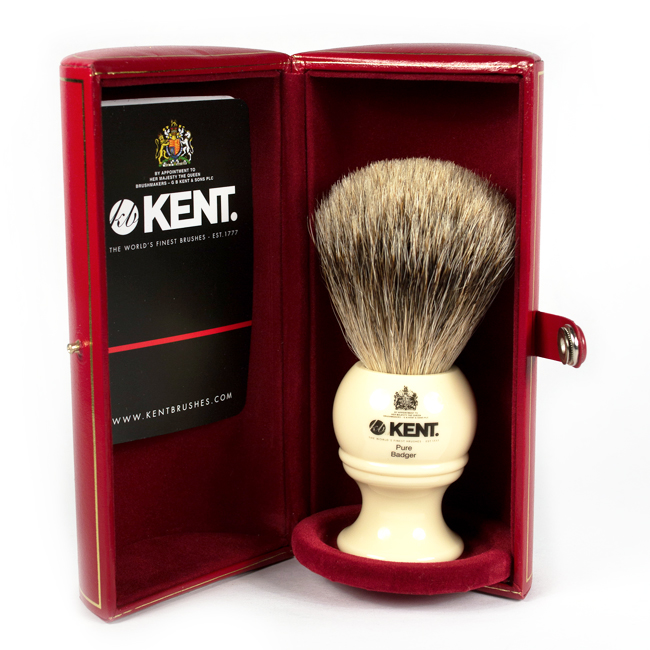 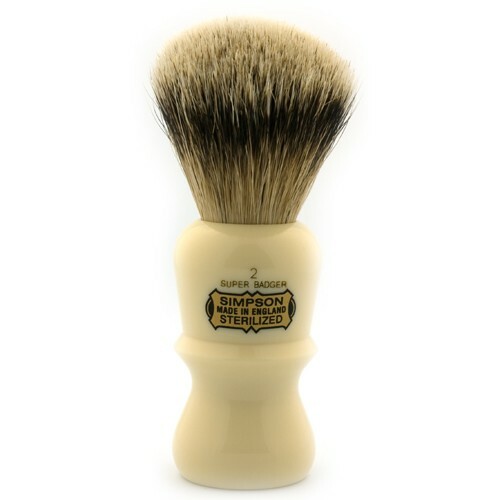 The unique Hexagon shape allows for increased control and is pleasing to hold- with a glossy black finish as dark as night this brush truly speaks sophistication and charm, something you will only experience with Edwards luxury Traditional Shaving Emporium . 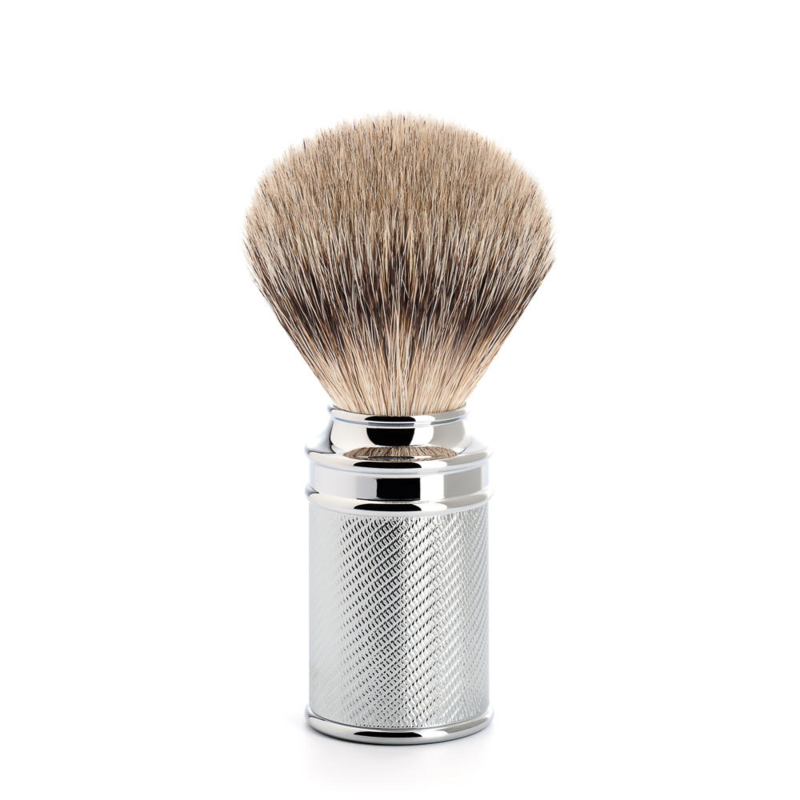 The silver tip brush will feel like velvet to the touch and will soothe even the most sensitive skin.